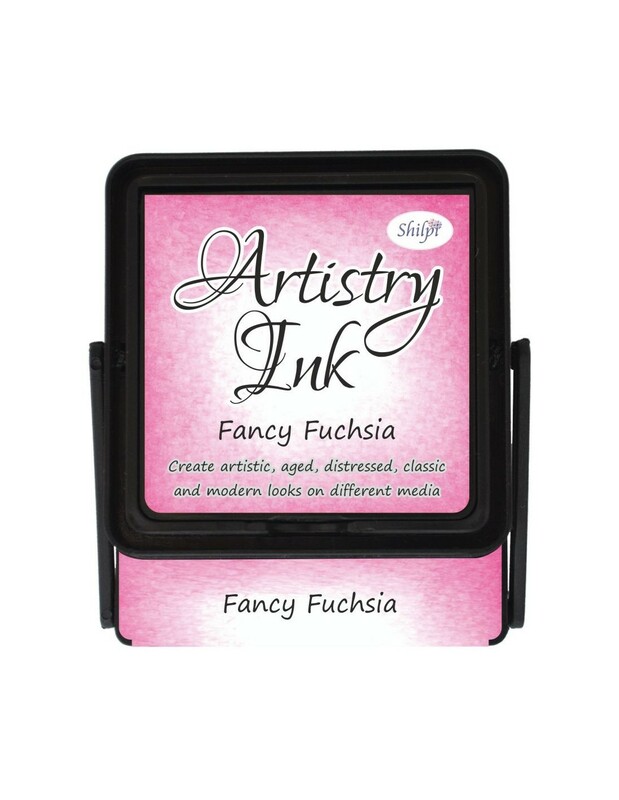 Shilpi's Artistry Ink Pads have Special rich dye inks are water reactive inks that allows you to play with them in different ways like blending, distressing, splashing, spraying, brayering and many more on variety of material like papers, card stocks, fibers, photos, ribbons,mount boards and many more. The Artistry Pad feature an innovative flip-top design that stores the inking surface upside-down, so the pad stays juicy longer. For easier access, the raised stamping surface is presented. This is also the perfect pad for discerning crafters who love to watercolor. 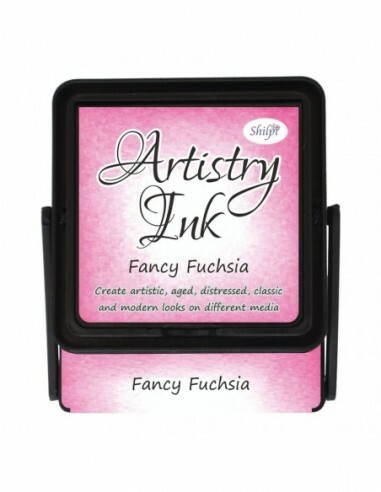 The top-quality plastic case is flexible, so the lid can be pressed into the ink pad, forming a watercolor-type pallet to dip a brush into the little pool of ink created in the lid. In addition, each pad has a colored label, identifying the name of the stamp pad and the color. Colored label is visible even when pad is open, so you know the color even if you've multiple pads open on your craft desk.